Home Facebook disrupts its own business…what does it mean for you? Mark Zuckerberg, the co-founder and CEO of Facebook released a carefully written, legally-cleansed article on Thursday 11th January 2018 titled ‘Bringing People Closer Together’. The article told the story of Facebook making a major change to how it ranks posts in users’ Newsfeeds to improve the well-being of its users. Essentially posts by people and their family and friends rather than posts by business Pages will have greater reach and be treated with higher priority in users’ Newsfeeds. 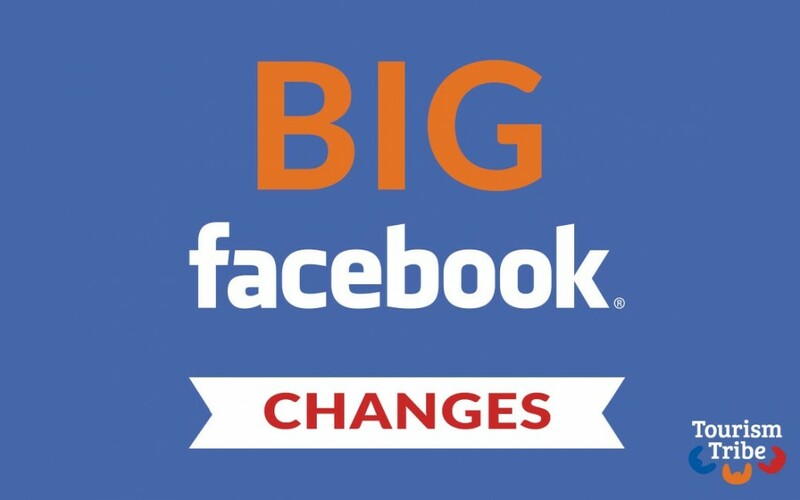 It is important for us now to look at the possible impacts and opportunities from these changes that we’re told will be implemented over the next number of weeks and in this post, we are presenting 8 Insights derived from the Facebook announcement. Zuckerberg predicts in the article that some Pages will see reach, video watch time and referral traffic decrease and my reading of the article and reading of analysts dissection of the article is that no manner of regular posting of content by businesses will help them and in fact reach will reduce particularly for Pages that haven’t been getting much engagement (likes, comments and shares). The rules of the game have changed completely and this rings a death knell for organic Facebook marketing that relied on frequent and consistent posting schedules! Isn’t it funny how when a company of mammoth influence like Facebook makes a big disruptive change like this we can all reflect and say “ah yes I saw this coming” and we did. We all know that organic reach has declined enormously over the last five years form averages of 17% to less than 4% a couple of years ago and now down to .5% – 1% and it was clear that Facebook was pushing businesses to do more paid advertising to get reach and engagement, but they were also rewarding businesses for organically using their platform. 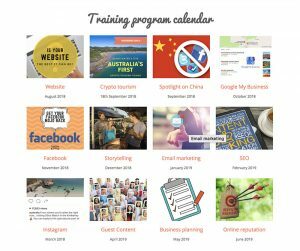 They were grooming us to learn how to create interesting and entertaining content and teaching us to incorporate Facebook as an essential channel in our business. At the same time we’ve been helping Facebook to grow its community of users. We’ve been asking our customer to Like our Pages and we’ve been liking other businesses’ Pages to nurture strong Facebook business communities in destinations and associated cohorts of businesses. Enough musings, now we need to look at the possible impacts and opportunities from these changes that we’re told will be implemented over the next number of weeks. Be deliberate with your posting and post newsworthy content and content that is likely to stimulate conversations between people. Do not post for the sake of posting more often than your competitors and you should especially stop scheduling regular posts that get little engagement. Whilst we can’t know the full impacts until the changes are implemented over the next couple of months if the new algorithm works like many before it have, then frequent posting with little engagement may mean that your Page is actually penalised and your posts experience even reduced reach into users’ Newsfeeds. I can actually hear some of you cheering. Yes you know who you are…the small business operators in our workshops who groaned when you learned you should be posting three times per day to get traction. By this I mean you’ll need a level of confidence that your posts are likely to spark a conversation and not just do a post and hope it will get some reactions. We’ve always positioned Facebook in our digital strategies as a channel to generate organic traffic referrals to our websites and posting links to blog posts was a must do activity, but I’d now question the merits of doing that. All of your posts are going to have to be newsworthy or interesting enough to generate engagement. How often have you enjoyed posts that resulted in multiple comments between your followers? What were the posts? How can you recreate that kind of reaction? Start practising now! You can forget about using “engagement-bait” to encourage people to leave comments as the surrounding article to Zuckerberg’s post states that Facebook will demote these posts in News Feeds. So what do you think the unstated backstory is to this shift? According to Investopedia in the June 2017 quarter Facebook made $188,498 in profit per employee on revenue that was close to a $500,000 per employee compared to the previous year second quarter when it had profit of $157,503 per employee. Their profit per employee is four times that of Google. So Facebook is really, really good at making money. So what is the strategic financial driver for this change to their ranking approach? There is no way that Zuckerberg would be implementing a strategy that will reduce their future profitability. For me the answer is not in what the article says, but what it is silent on. If you search for the words “paid” or “advertising” they do not appear in the article. When organic reach is virtually impossible to achieve for businesses, then what will they do to ensure their brands, products and campaigns are visible to their target markets? They’ll use Facebook’s very smart and targeted advertising platform. This is where the rubber will hit the road for Facebook in my opinion. The advertising will need to be rewarding and affordable for businesses, otherwise they’ll look elsewhere. Where else will they go? Google Ad Words may enjoy a rebalancing of businesses’s advertising budgets and I believe businesses will shift their organic effort to focus more on Instagram. “Instagram” is another word that is NOT in the article yet it is such an important asset in the Facebook business structure since its acquisition in 2012 and Instagram sits right beside Facebook for businesses as an important social channel for brand marketing. We know that organic reach in Instagram is more generous than Facebook with an average of 3%. Even with a small number of followers a business can enjoy much higher than average engagement on a really great image that they post and we see this often with tourism businesses that have learned the craft of taking a great photo and writing a clever comment, using emojis and applying hashtags. So what is likely to be the impact for businesses if there is increased posting by businesses? Competition for reach will increase and the need to sponsor a post with advertising dollars will also increase if you want to reach your target market. The key insight coming out of this shift by Facebook and the disruption to our marketing practices is an elementary one about businesses in the experience economy. That is to rely not as heavily on how we promote our offerings as compared to how we deliver our offerings. When a business is delivering memorable experiences through its products and customer service they are generating a word of mouth culture in their customer community. The advice of friends and relatives remains the number one source of inspiration for people’s holiday choices and at the planning stage of the purchase cycle, your custom reviews are a crucial reference to encourage people to push through to purchase with your business. Review your reviews! What are people saying about your service offering, staff attitude, cleanliness, food? How can you tweak things to improve your online reputation. Even if you’re sitting at an average of 4 out of 5 for your reviews, why not push yourself and your team to find the solutions to becoming an average of 4.5? There is always room for improvement. And this is how things haven’t changed despite Facebook’s announcement. Your customers will want to share great pics on Facebook and Instagram to show that they have had a “remarkable” experience with you and they are getting more and more savvy with tagging businesses and using hashtags so you’ll get your share of the glory and in line with Facebook’s new strategy, it will create conversations amongst their friends and your business will be intrinsic in their story. I believe it will still be valuable to encourage your customers to Like your business Page so they can easily find you when they want to interact or contact you and some (not many do) will share their photos and posts on your Page. Likewise I can’t see Facebook changing from being an amazing business directory as it has become. It’s an excellent source of business information and easy way to communicate with businesses. So you’ll need to remain vigilant in monitoring messages and comments and make sure you respond asap. The convenience of Facebook messaging is making it an increasingly common way for people to contact businesses. We’ve noticed over the last couple of years that Facebook has made it less valuable for a business Page to Like another business Page and the algorithm has meant that unless you set your Newsfeed Preferences to see those Pages posts firsts, you rarely see them. In an effort to support your local business community as a business you’d have to go find them and then Like, Comment and Share to show your support and to help build the following of your industry colleagues. So what’s the best way to help your local industry given the new direction of Facebook to encourage conversations between people and to show Users posts from people (first) and businesses (second) where they tend to generate multiple interactions between friends? Be a friend to your local business Pages. Follow them as yourself (your personal page) and like, engage and share their posts and be genuine about it. Don’t underestimate the smarts of Facebook’s machine learning to detect false support! This significant change in how Facebook will work for businesses is a good reminder that the one digital asset you do have control over and own yourself is your business website. Also it is a good reminder of the importance of search in the holiday planning and conversion stages of the purchase cycle. This is a good time to review your website user friendliness and the content you are regularly updating on your own site. Now could be a good time to put your blogging routine into place so the search engines are indexing new, relevant content on your website. Don’t forget to update your Google My Business listing and make use of the posts that you can add to your listing to highlight news and campaigns and to link to your blog posts. I’m sure that the impacts and opportunities for businesses and the benefits of this change for people will become clearer over 2018 and I could keep writing, but I think that’s enough for everyone’s sake. We do make a commitment though to keep sharing information about these changes with the tourism business community and to engage experienced digital strategists in our conversations so we can all understand the opportunities for businesses. Ultimately if Facebook plays a more positive role in people’s lives going forward then that is a great thing and it will keep people on the platform and better defines its role in the social media landscape. It’s not a teenager anymore, it’s now a young adult and we could determine from this shift that its worked out who it wants to be now that it’s grown up. Yes there is fall-out for businesses and imagine the number of young social media staff in digital agencies who are making their living from posting for businesses! How can they evolve their value in the market to find their next opportunity? Overall for businesses the experience makers with great culture and customer service will continue to lead in their niche markets despite the changes by Facebook. The bubble of ‘so much content’ has burst as a result of this shift and we’ll see a more focused approach to content with emphasis on quality not quantity. We can breathe a sigh of relief about that. Would you like to read more about what you can do to prepare for this Facebook Update? 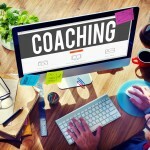 Visit this article and read about how to get your Facebook Mojo back! Here are a couple of other resources related to this article that might be of value.